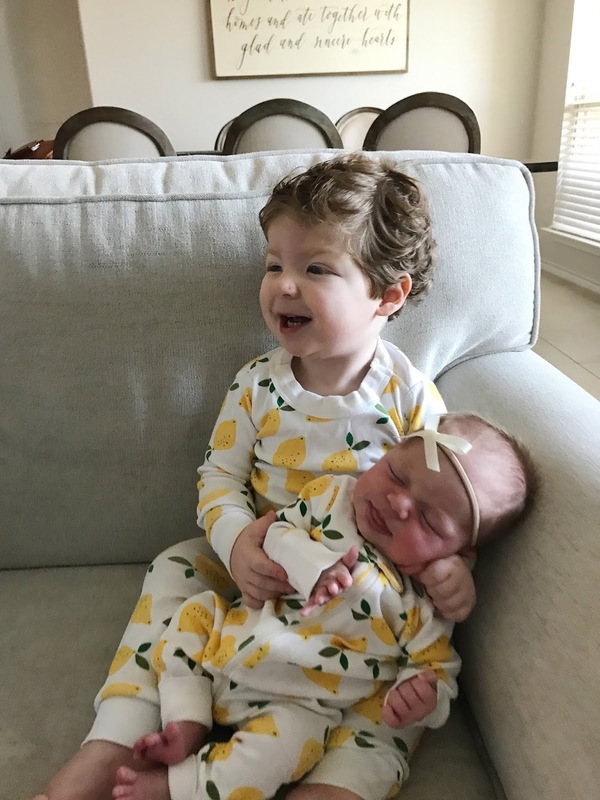 I've been asked a ton about Beau's reaction to Sophie since we came home from the hospital almost two months ago. I honestly went into it as open minded as possible, with really low expectations as far as how Beau would respond to her. I kind of expected them to just coexist. 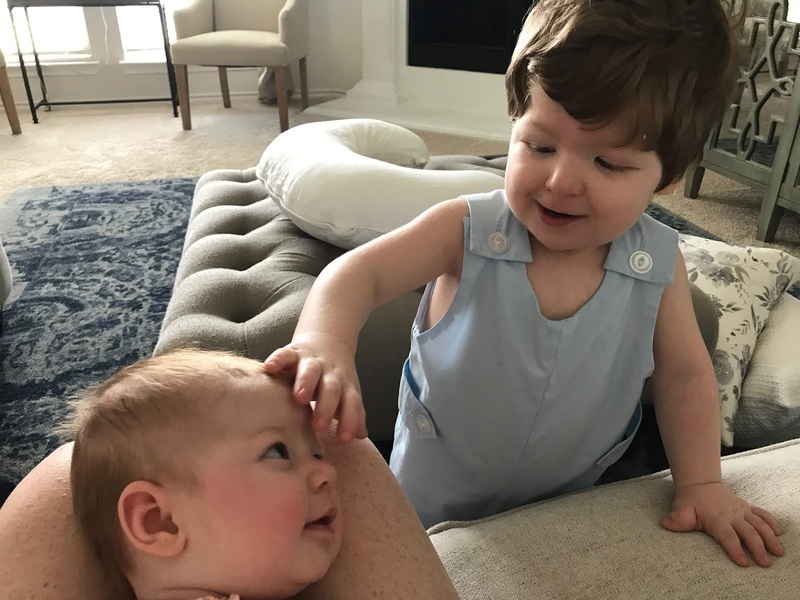 But let me just tell you, our boy was born to be a big brother. I started crying typing that sentence. 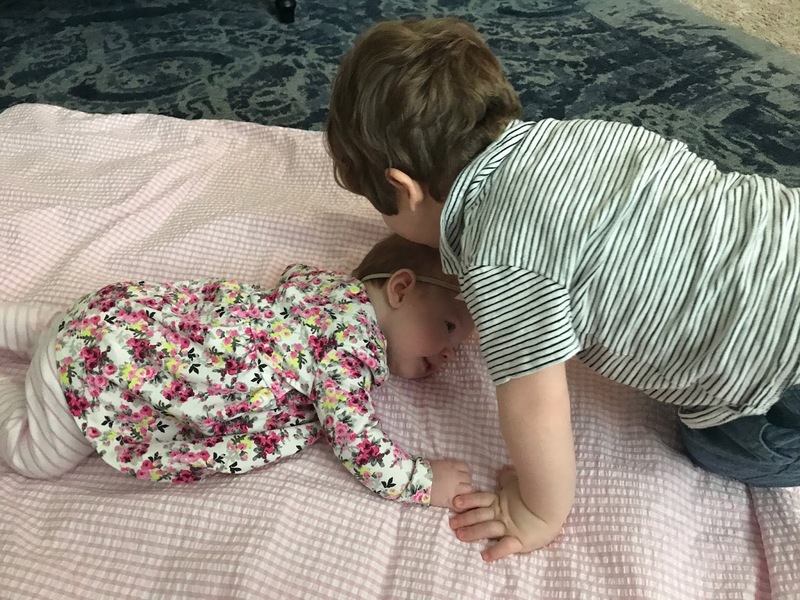 This season of becoming a family of four has been beyond my wildest dreams because of how much Beau loves Sophie. Is he a normal two year old who has hard days? UM YES. Sometimes is he not interested in her? Yes. Am I exhausted from caring for two tiny people all day? Yes. But Beau's reaction to Sophie has been one of the sweetest experiences of my life. 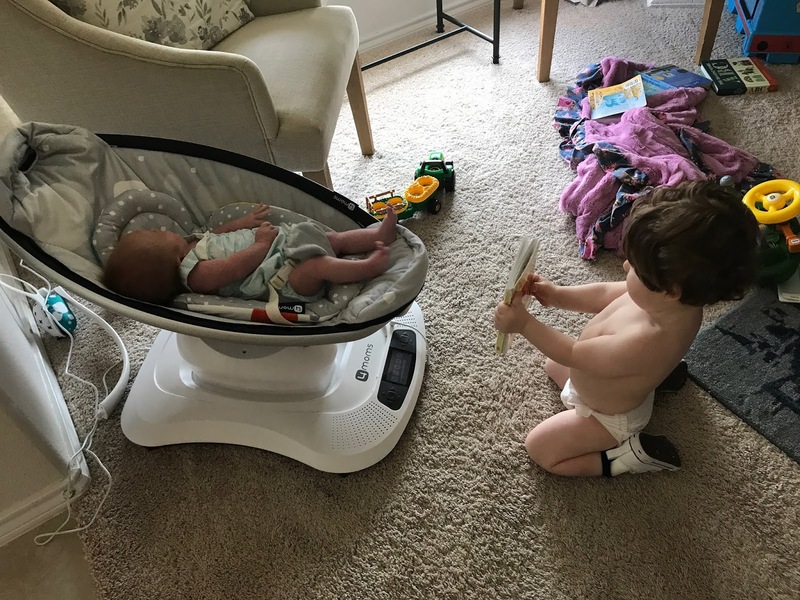 Her presence has allowed us to see so much growth and development in his little personality. One of the first times that I left the house with both of them by myself we went to just drive through Chick fil A to get out of the house and pick up some lunch. On the way home Sophie started crying and I caught a glimpse of Beau reaching over into her carseat and holding her foot. Speaking of the car, bringing Sophie into our driving experience has made me realize that Beau would REALLY love to still have a car blanket, as he always takes Sophie's from her. Every time we get to our destination he has pulled it off of her and into his own lap. Now that she's been here longer and he's observed more about how we care for her, whenever she cries at home he comes over to check on her. Yesterday she was having a hard time and he just rested his hand on her chest and couldn't take his eyes off of her. He knows to find her paci and tries to put it in her mouth for her. 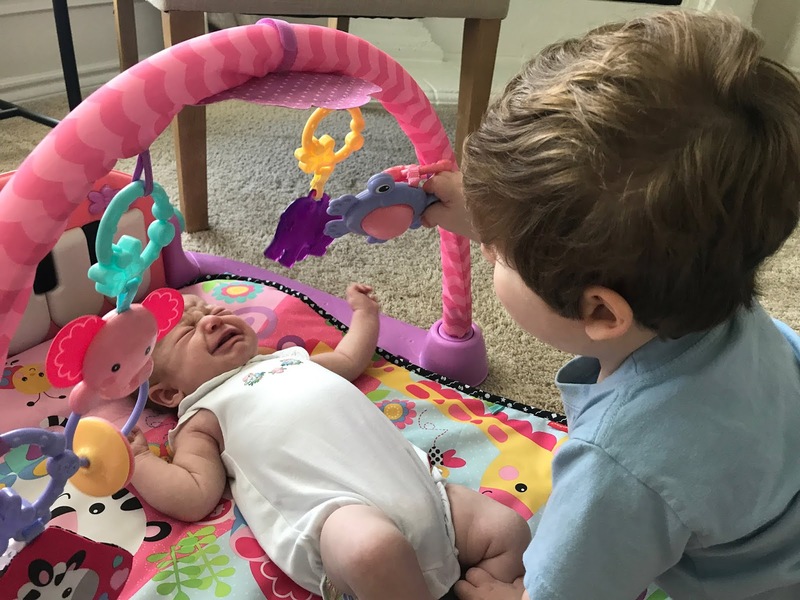 If she's upset he immediately tries to show her a toy or get her paci for her. 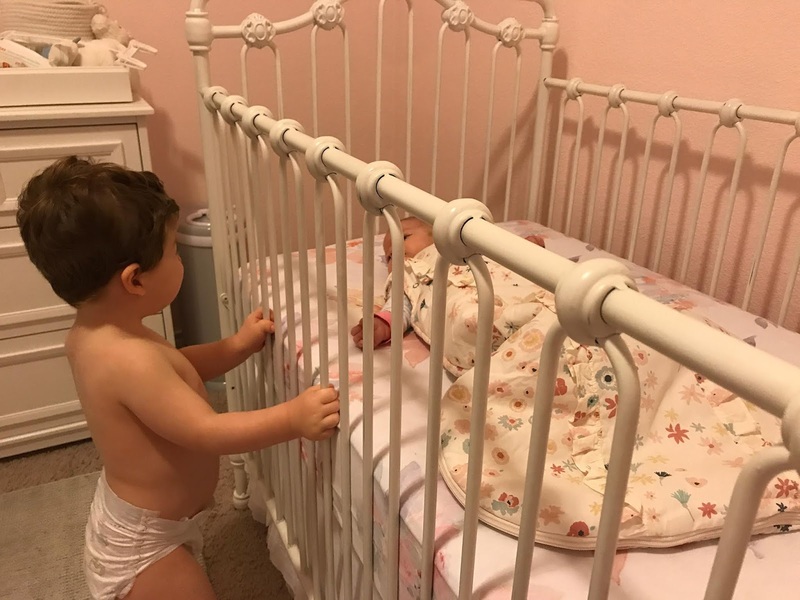 A handful of times I've been in the middle of something while Sophie has started crying in her crib and I've gone to check on her and found that Beau's already taken it upon himself and is reaching through the bars of the crib trying to get the paci to give to her. He kisses her forehead without prompting. He LOVES trying to hold her hand. That's his natural instinct with all babies, he just wants to hold a hand, haha. I share all of this to give a look into the joys of how it's been with two, but also so I can remember this sweetness. I really need to take some time to write some of this down in the memories portion of his baby book. 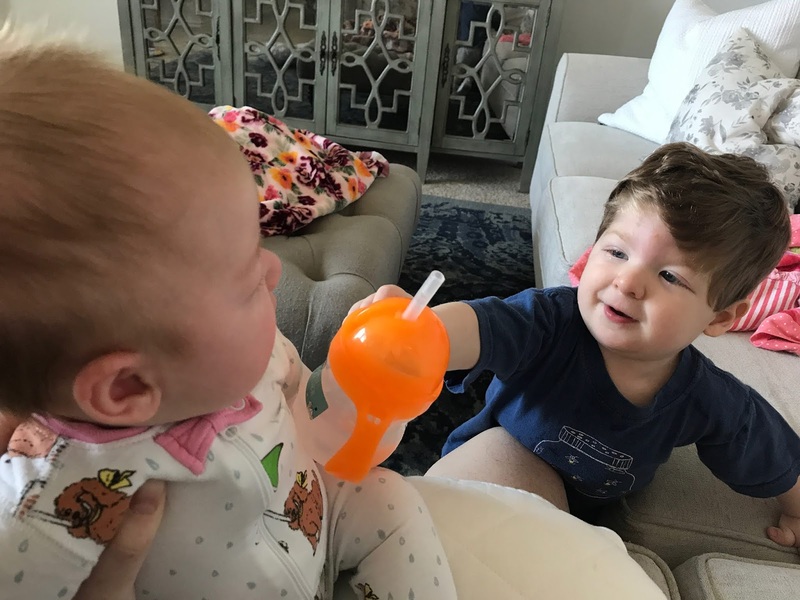 When Sophie was about a month old, Beau was sitting on our bed and just started sobbing and reaching for Sophie. Ben claimed that he thought Beau wanted to hold her but I was skeptical. He placed Sophie into Beau's arms and he even somehow sitting in the middle of the bed knew and supported her head. Take my word as his mama that it's crazy that he understood that. He's so motivated by his love for her to learn new things and grow already and that just breaks me into a thousand pieces. 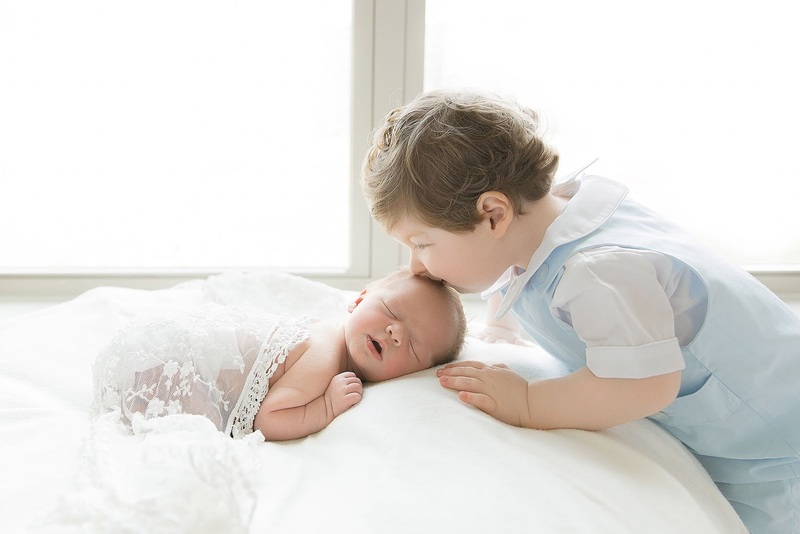 This is just so precious -- love his little heart towards little sister! Isn't it funny how kids instincts are so spot on even at a young age?! oh my goodness. this is SO sweet. that first photo! i mean all of the photos, honestly. but i love that they are close in age. they will never know life without each other! i think that's the best ever. 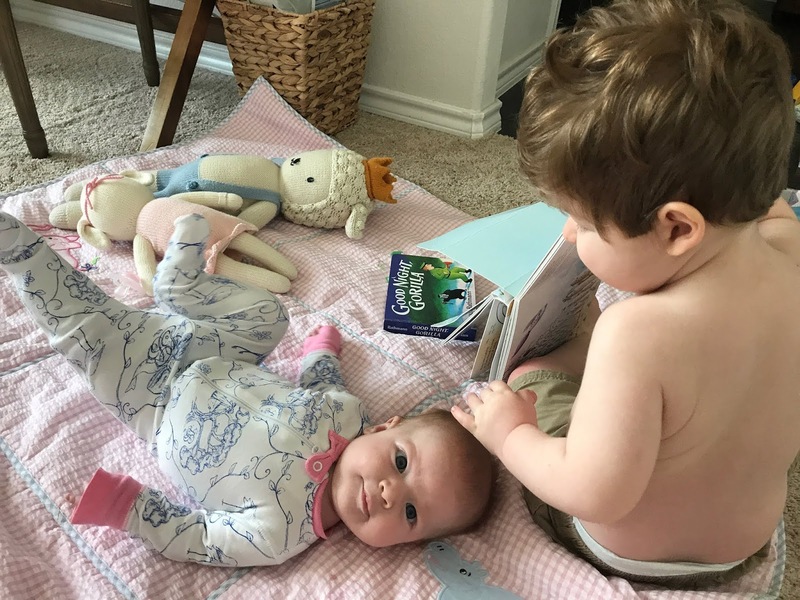 we did a lot of prep work with our big girl before she became big sister, but she was about to turn 3 when he was born... she was already set in her ways! haha!